As you know, the Mini Happy Planner is 100% my go to planner for everything. I've got one functional planner and one memory planner...both are from the Happy Planner line. You may be thinking we'll be getting creative in my memory planner today but you're wrong! 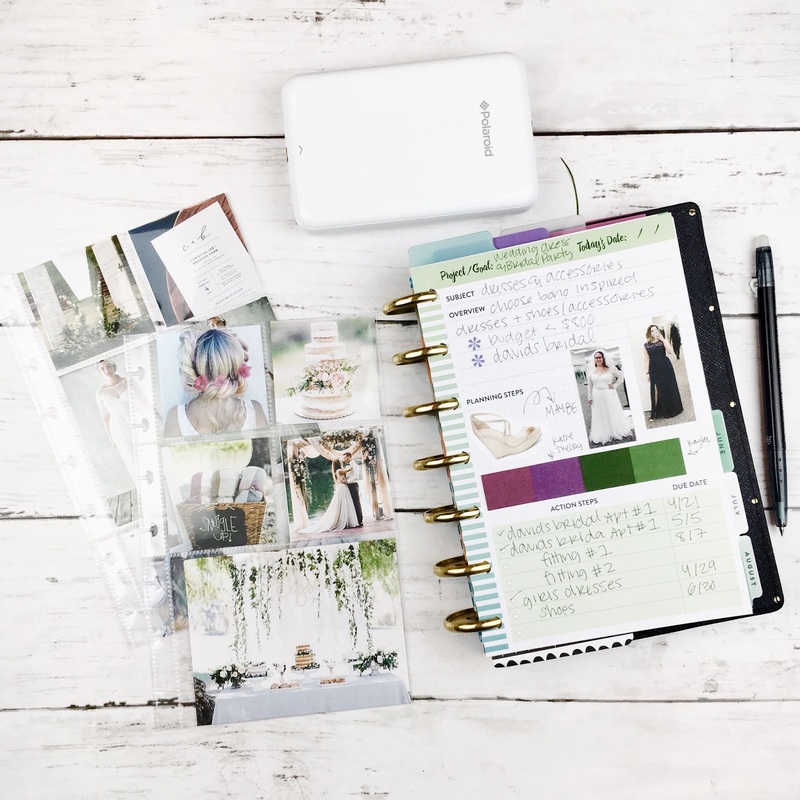 We're gonna make some amazing pocket page projects perfect for your functional planner which in my case is the Mini Happy Planner! But of course you can translate these into any planner system you use. When you open you're planner, it is best to feel inspired! 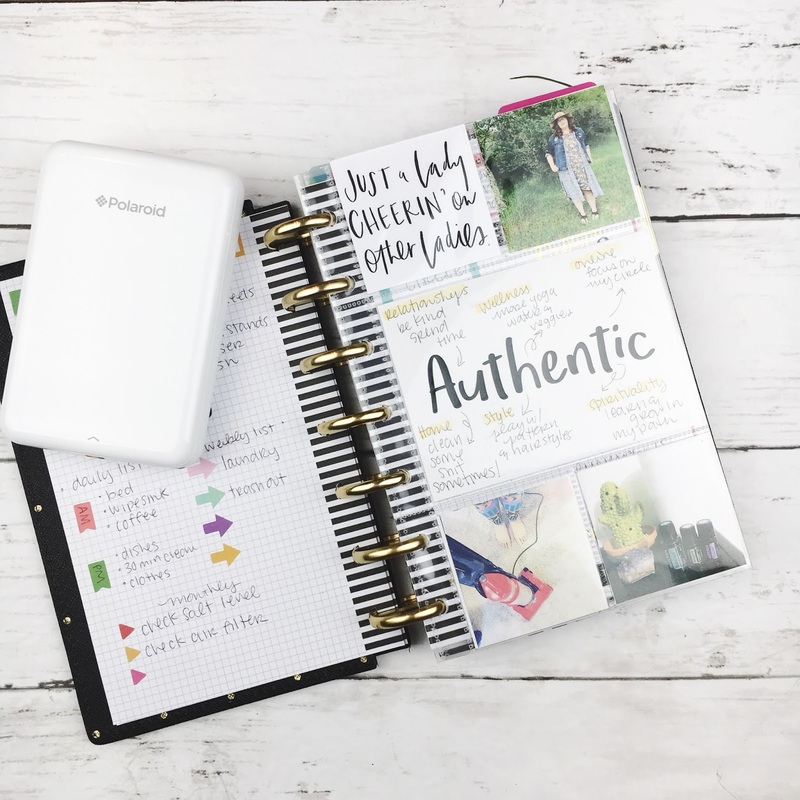 Adding some photos of your family or other images that inspire you will make you super happy each time you open your planner. To make this guy functional add in your favorite sticky notes. I love that there are 2x2 squares in the page protectors because they fit the sticky notes perfectly. 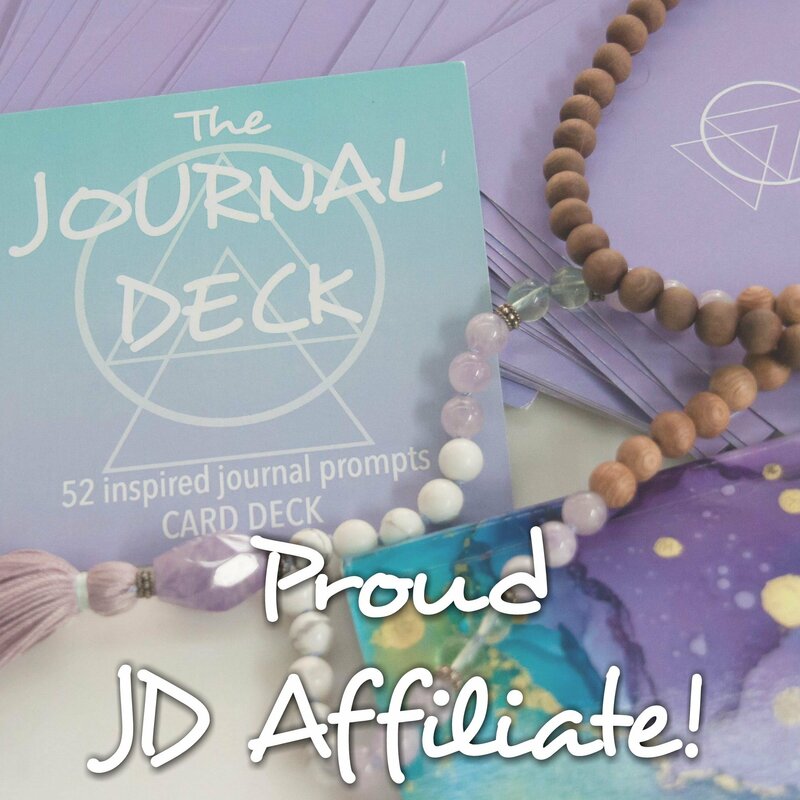 Trim your photos down and then alternate with some patterned journal cards to create a functional dashboard. Plus, this guy will be back and front - double the sticky note storage! In my current planner I have a mini vision board right in the front. This helps me to keep on track with my goals during the year. You can use this to create a fitness vision board, a vision board for your next vacation, or a vision board for a new home project. I created this vision board at the beginning of the year to go along with my vision planner. I like keeping this smaller guy with me so that I see it everyday since my vision planner is much bigger. 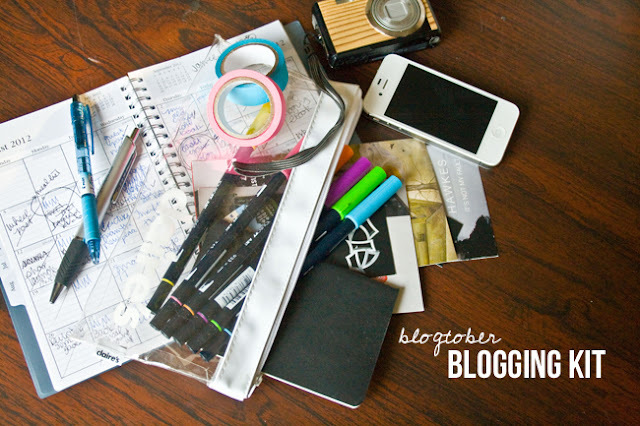 You can check out some vision board tips in this post. 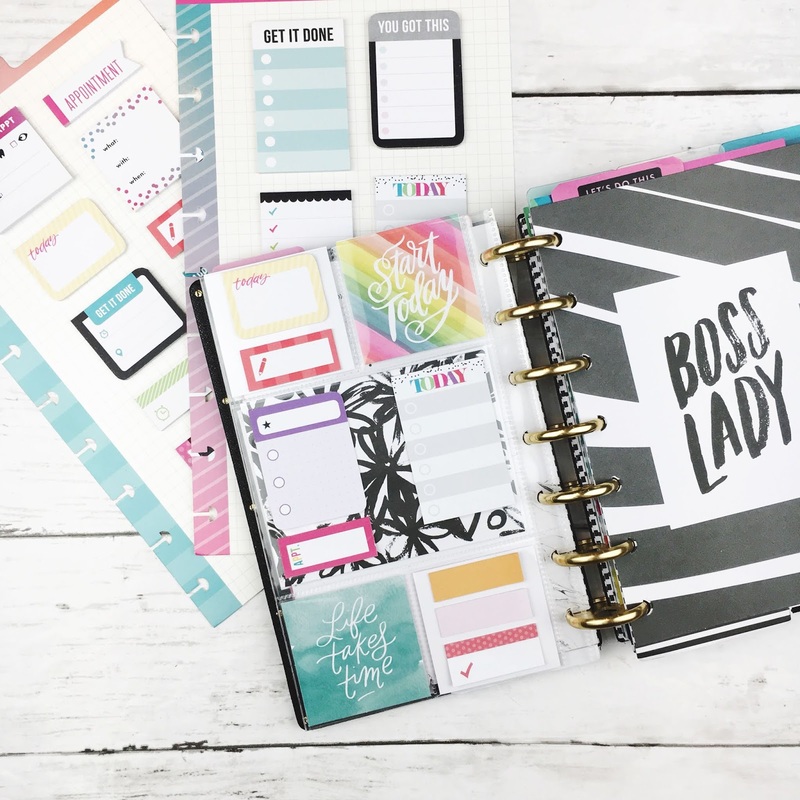 This sort of goes with the vision board option above, but when you pair these page protectors with the project planning filler paper you can create a whole visually inspiring project section. I'm using the pocket pages to store an overview of the aesthetic I'm going for with the wedding so that when I'm planning any part of the wedding I can make sure the whole visual comes together. 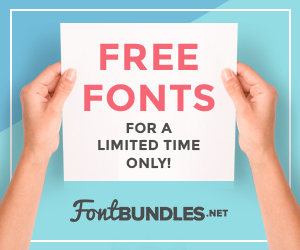 This can be great for blog planning or branding too in your social media planner. You can make sure your whole brand comes together with the same aesthetic! 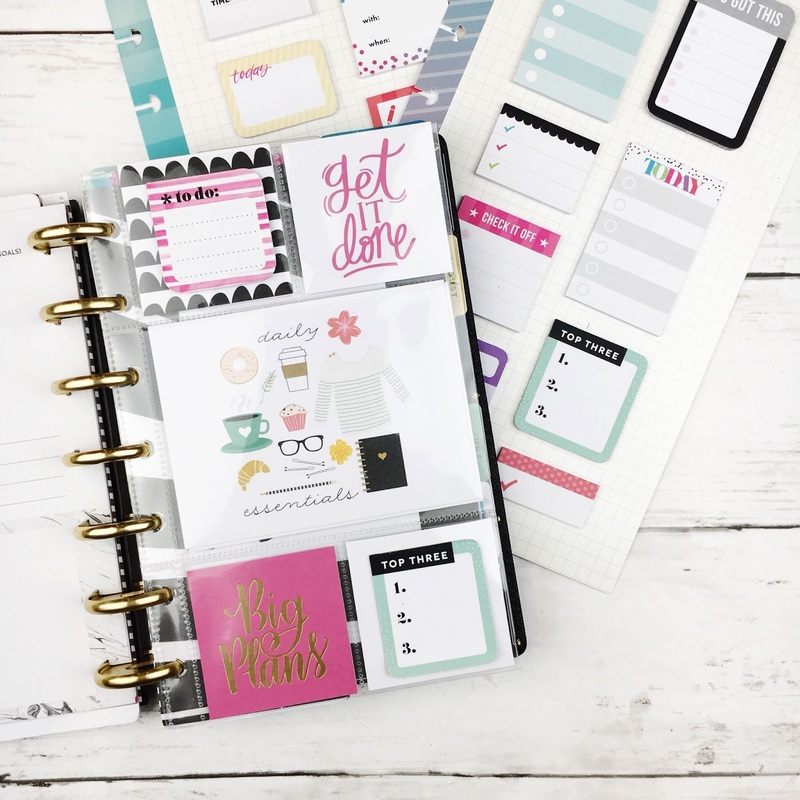 I shared these project pages in this post about the best productive add ons for the Happy Planner. I just love all the creative ways we can use our planners right now. It is so inspiring! And the fact that the page protectors aren't just for one size of the Happy Planner is great. These guys aren't just limited to memory planning...they are a very helpful visual tool. If your'e looking for some more creative planning, productivity tips, & personal growth check out the Five Sixteenths | Live Creative group on Facebook. And check out the YouTube channel for more planner awesomeness! OH and if you want to save moolah on Happy Planner stuff, check out Blitsy to save some serious cash. How do you use pocket pages in your planner?